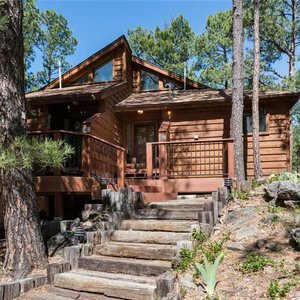 Secluded with great mountain charm, Double Shot Cabin is the perfect home base during your Ruidoso vacation. 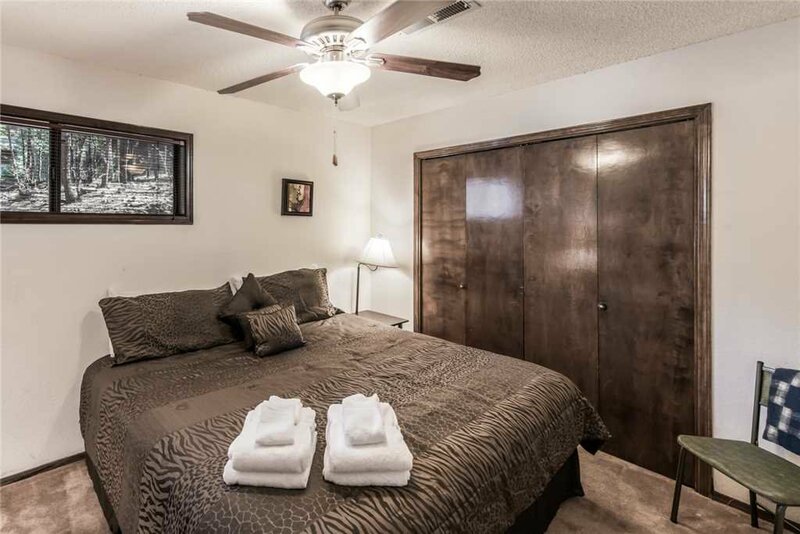 Featuring two-bedrooms and two-bathrooms, this townhome accommodates up to four guests. 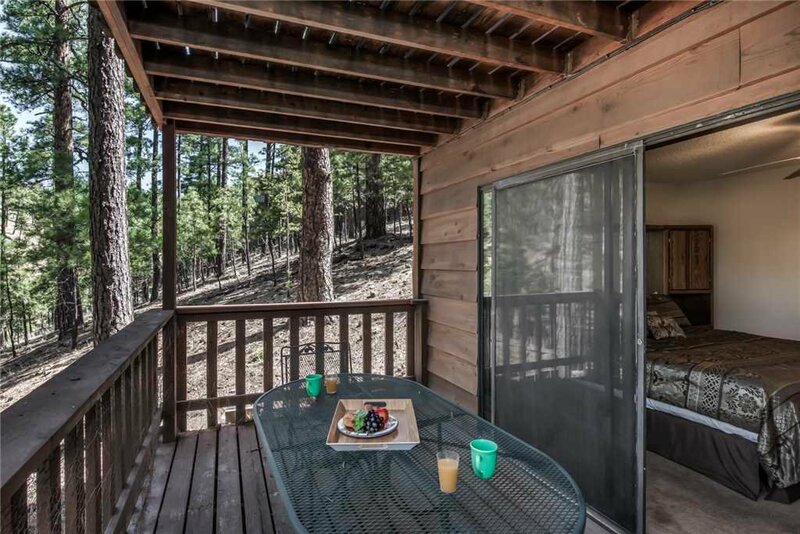 You and your guests will love utilizing both the upper and lower back decks, free WiFi, washer and dryer, as well as enjoying the privacy at Double Shot Cabin. 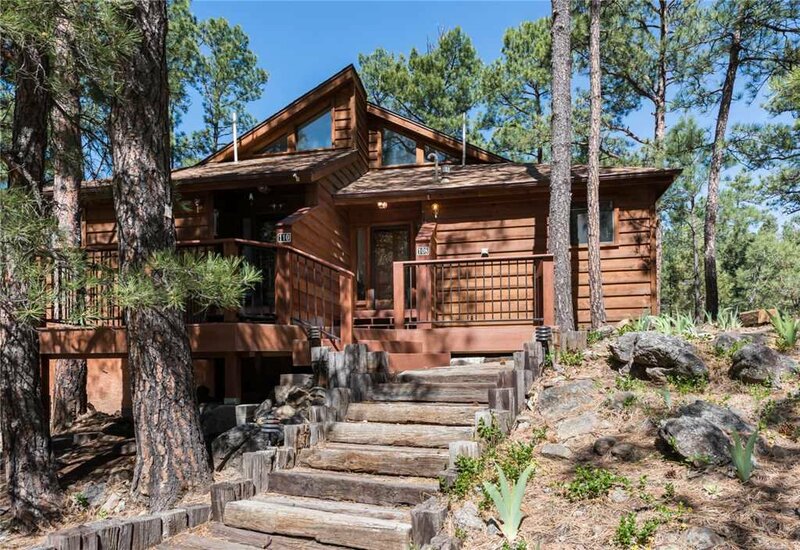 This beautiful and sweet log cabin offers everything you and guests will need during your mountain vacation. 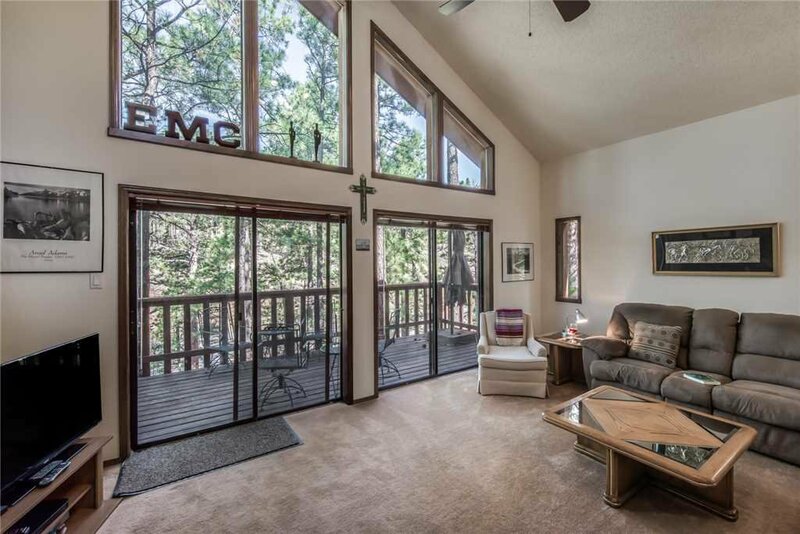 When you enter this cabin, you will notice the floor to ceiling windows in the main living area, providing an abundance of natural light. 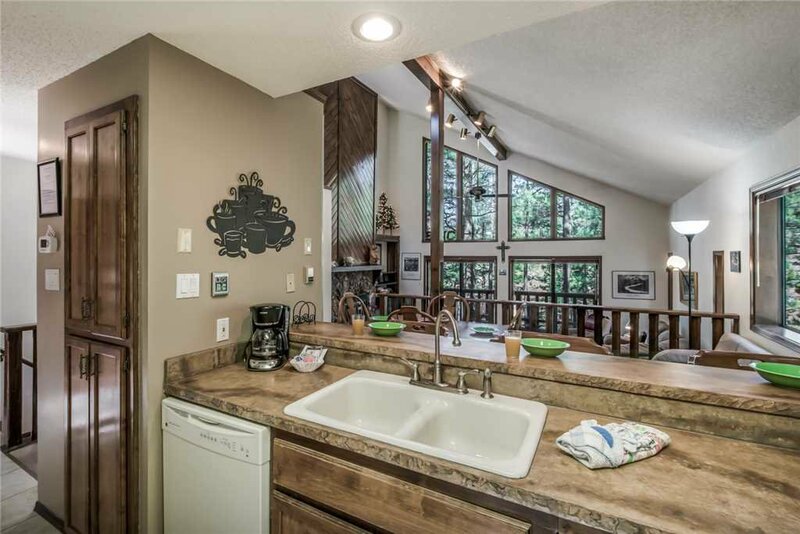 You will love the open concept with the main living area and kitchen easily flowing into each other. 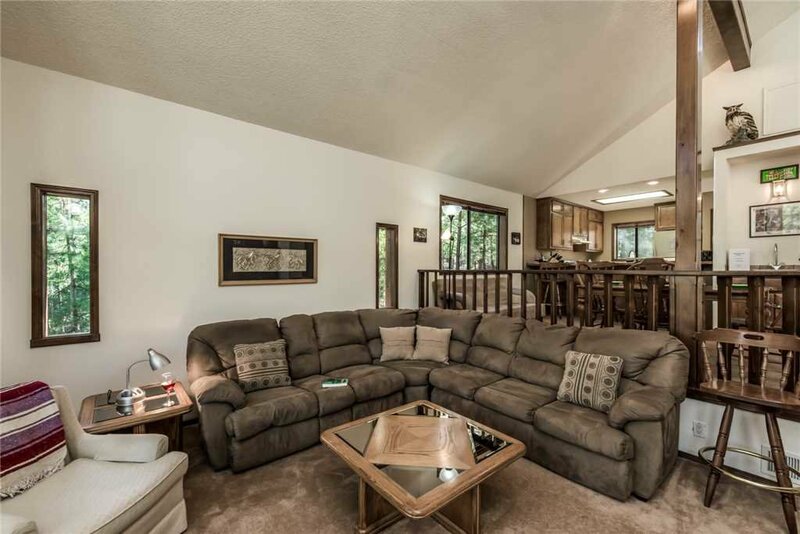 In the living room, a large sectional is available to provide the perfect spot for you and your guests to kick back and relax after a day full of adventures! 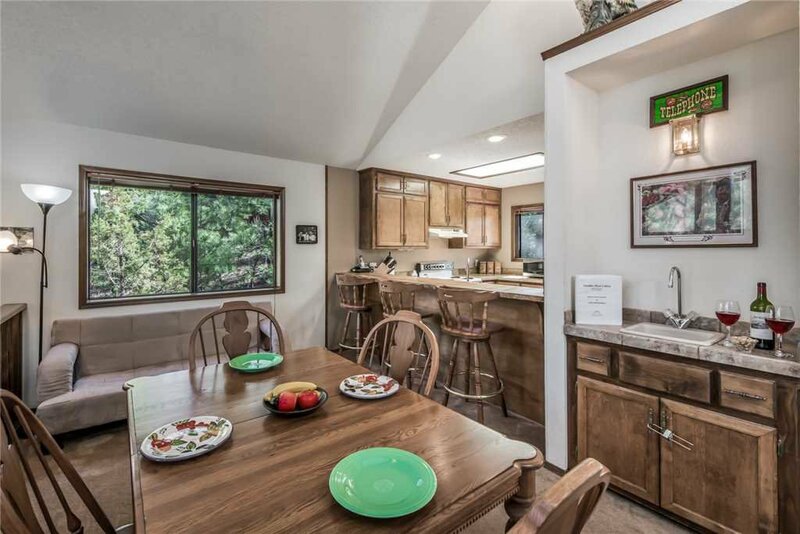 The spacious kitchen is fully equipped with a dishwasher, microwave, refrigerator and freezer, stove top with oven as well as cooking and eating utensils to cook up some delicious meals during your stay at Double Shot Cabin. 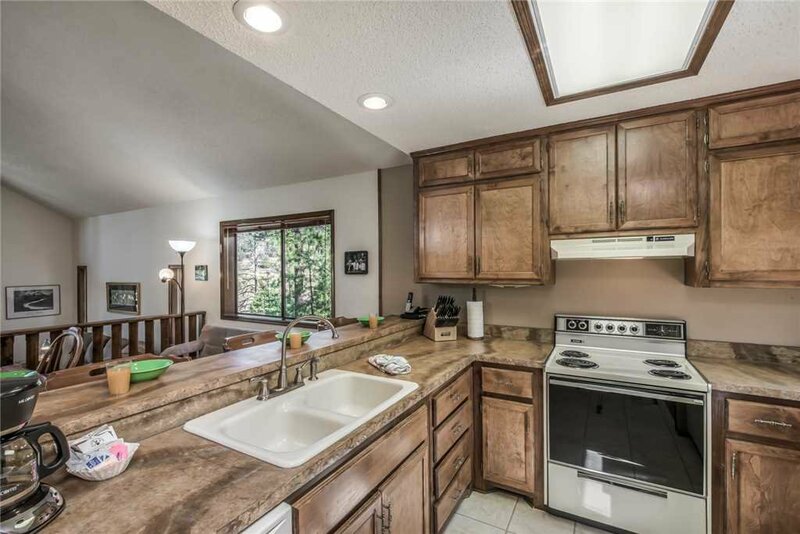 The open concept allows you to enjoy your guests while cooking and taking care of the dishes. 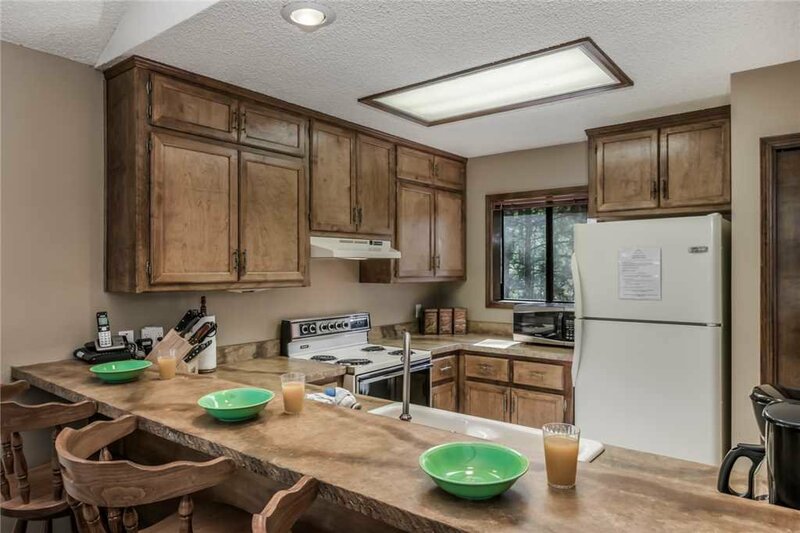 A large bar top is located in the kitchen to provide additional counter space and seating for four. 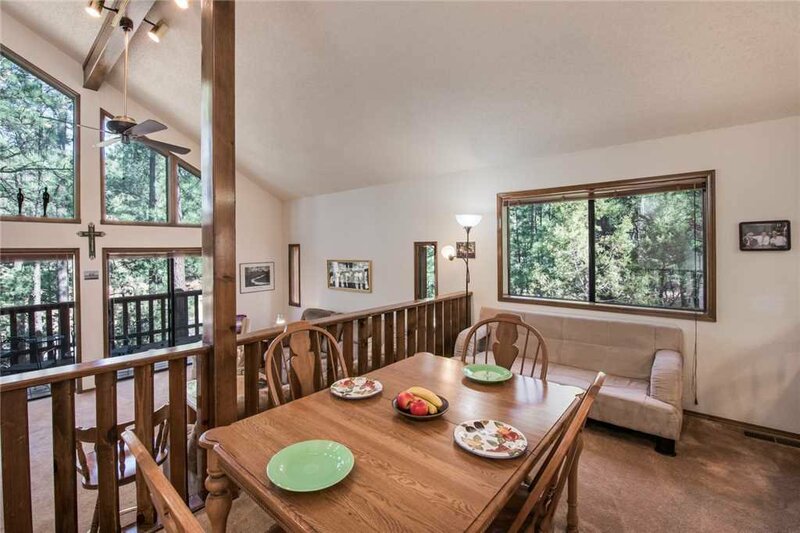 The adjoining dining area provides a large dining table with seating for four with a gorgeous view of the backyard. 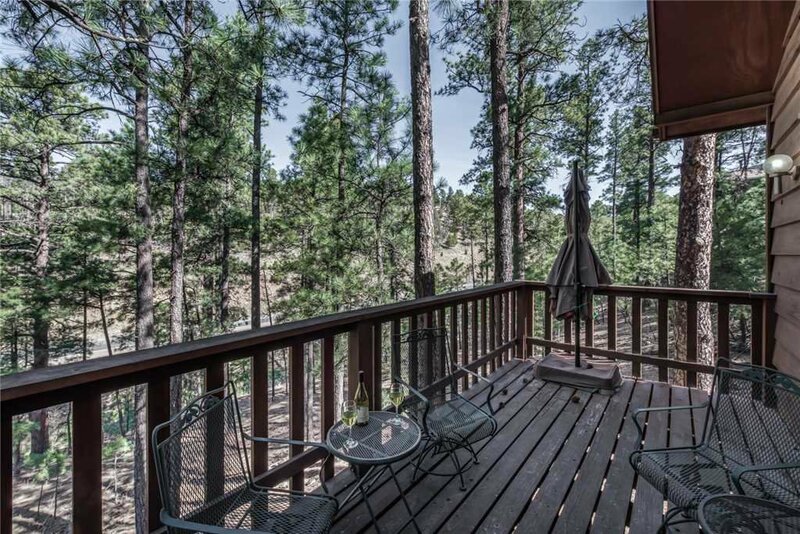 If you want to enjoy the fresh mountain air, take a step out on the back decks. 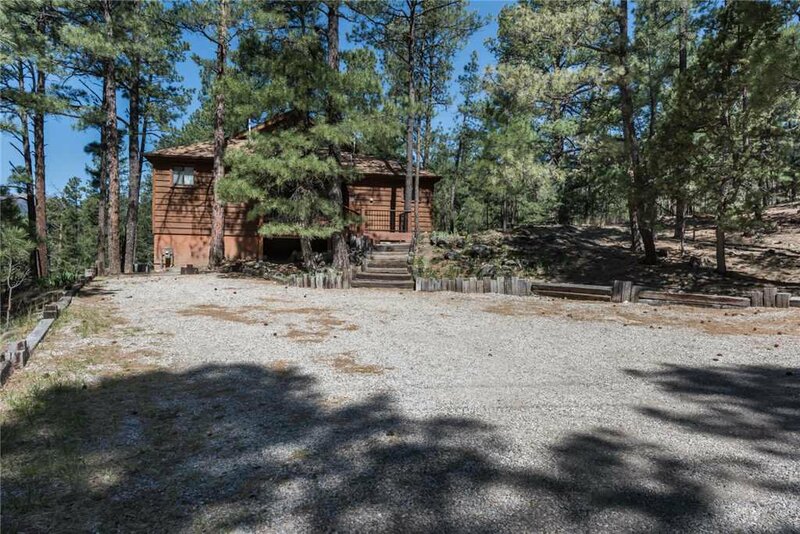 Full of privacy, you will love starting your day out here with a warm cup of coffee. There is a table and chairs located on the patio for your enjoyment. Fire up the gas grill and make your dinner outdoors! 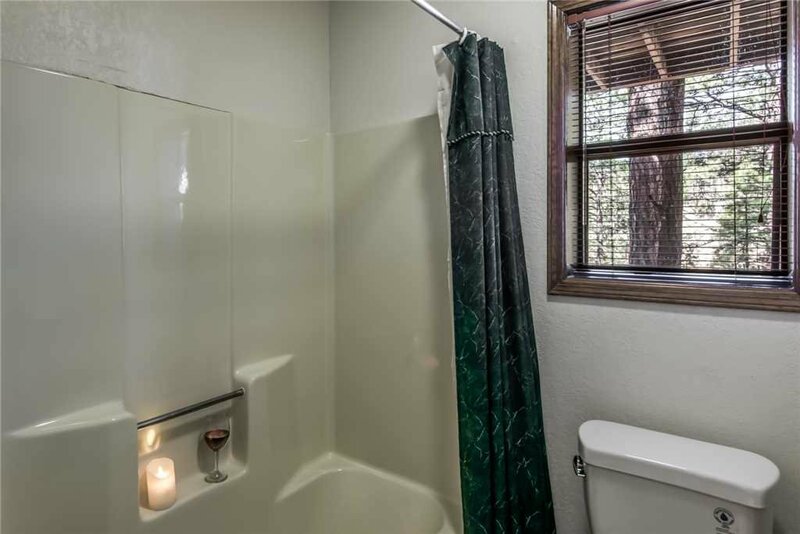 Enjoy the privacy while taking in the sights and sounds of the great outdoors at Double Shot Cabin. 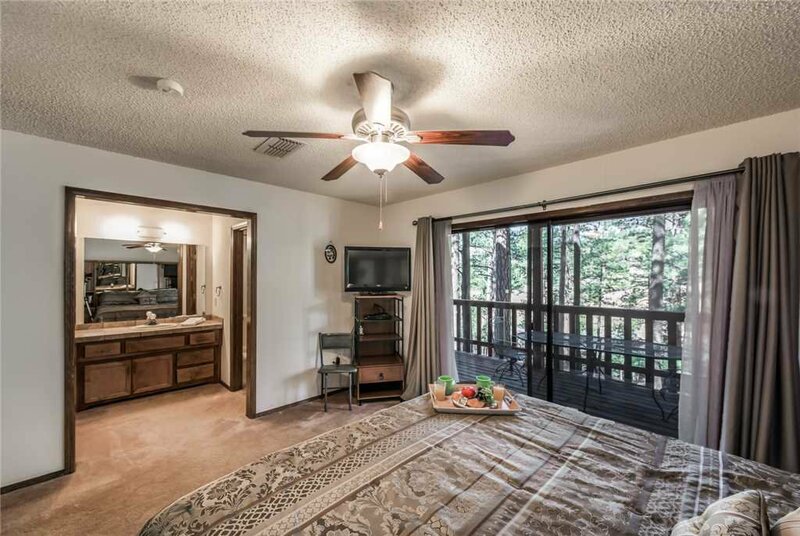 The master bedroom offers a king-sized bed, television and DVD player, and plenty of space to unpack your bags and feel right at home. 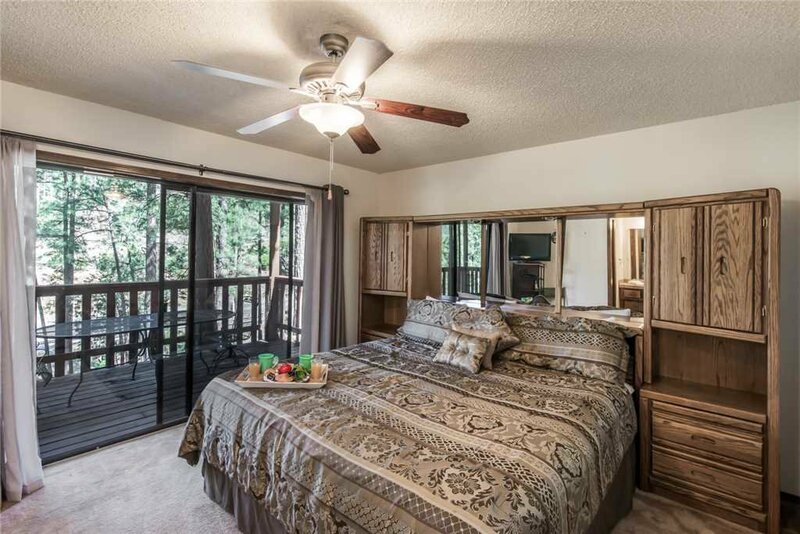 Wake up and walk outside with the access to the lower deck from this bedroom. A table and chairs are provided making this the perfect spot for your morning coffee. 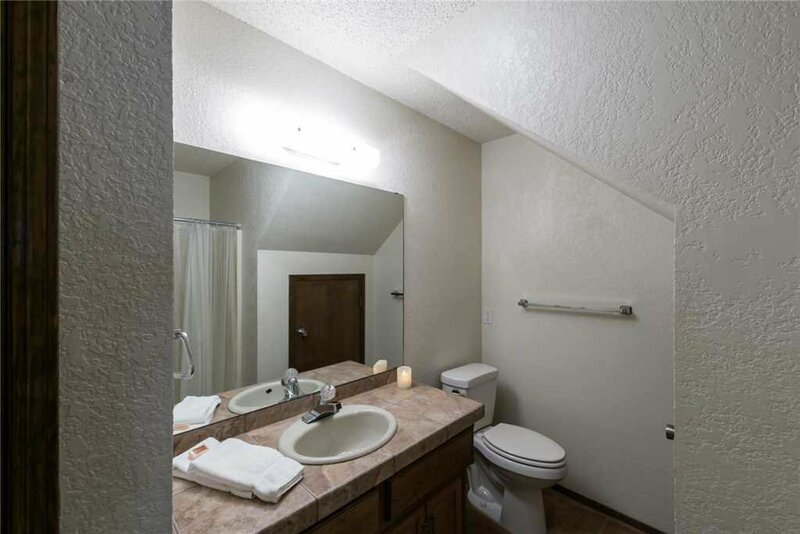 The full bathroom features beautiful décor and all the amenities you will need during your stay. Bed linens and towels are provided during your stay at Double Shot Cabin. 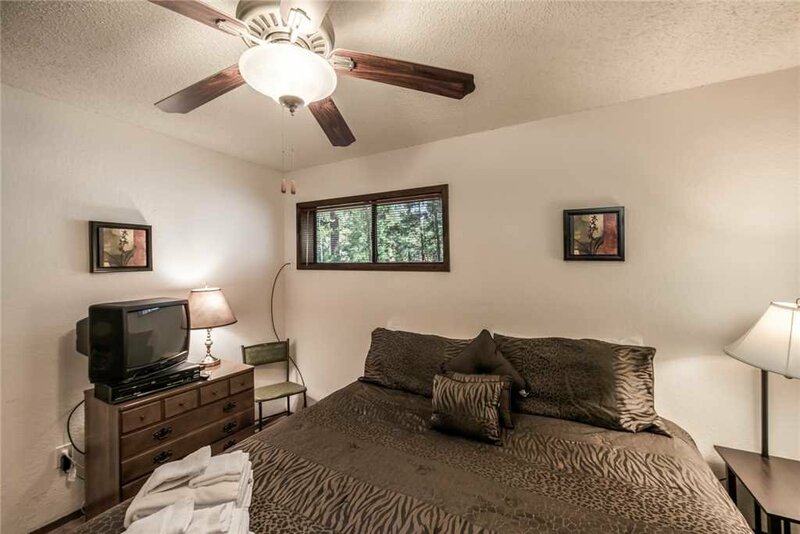 The second bedroom features a king-sized bed, television with DVD player and tons of space. 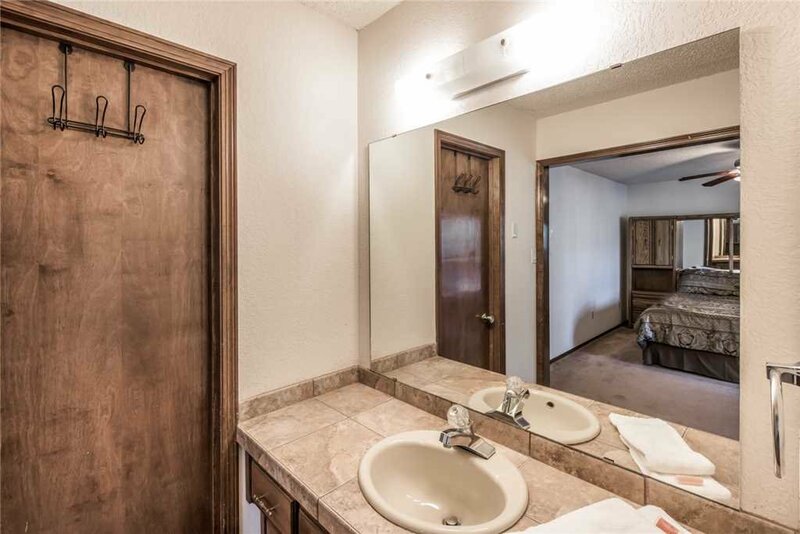 A second bathroom helps to accommodate additional guests during your stay. 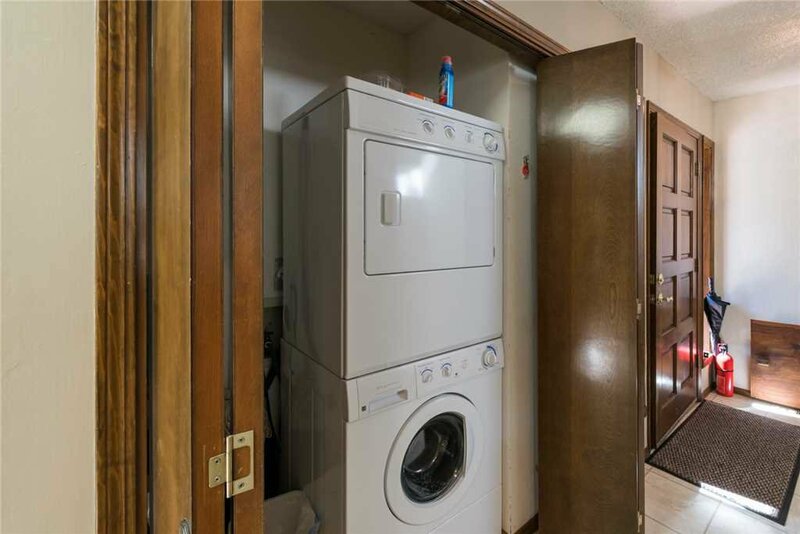 Double Shot Cabin also provides a washer and dryer allows you to pack light. 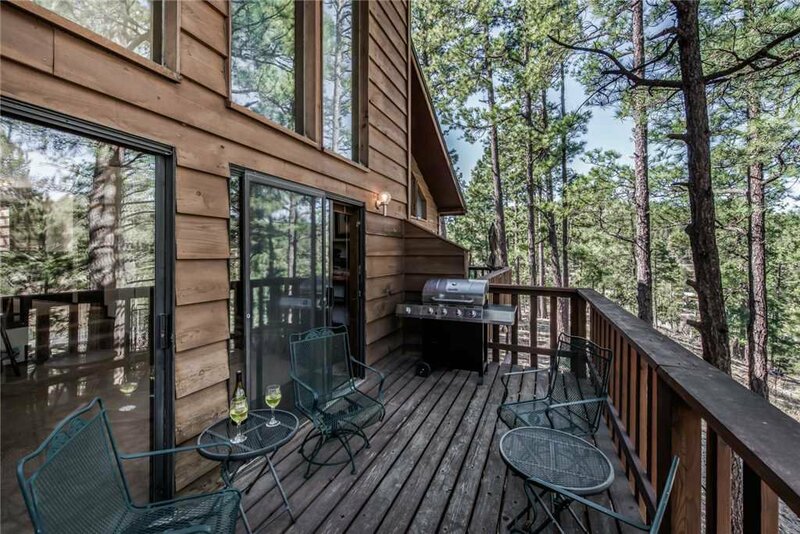 Whether you are enjoying a family vacation or romantic getaway, Double Shot Cabin provides the perfect vacation home. 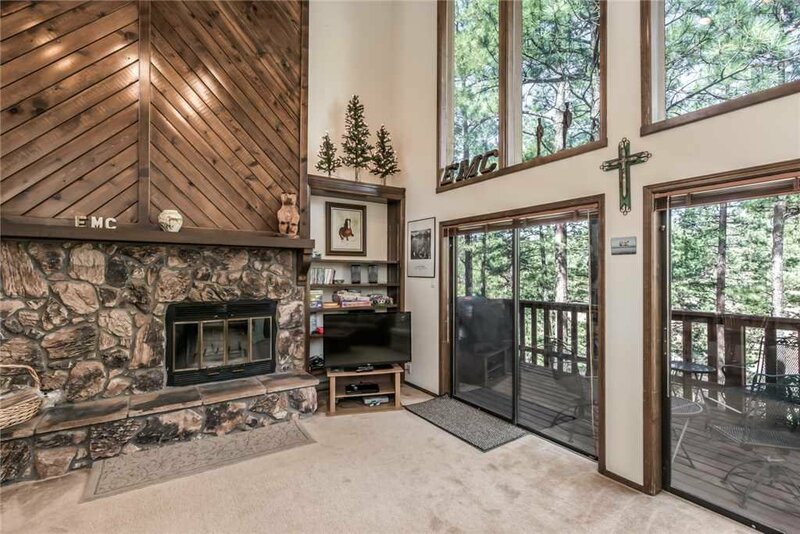 If you are looking for the perfect location with close proximity to so many great entertainment options, Double Shot Cabin is your perfect townhome base during your vacation. Get ready for a great trip and prepare to enjoy great skiing, horse races, and beauty. Do not hesitate, call today to book your stay at Double Shot Cabin! Please note, there is a major highway nearby and you may hear the traffic from time to time. 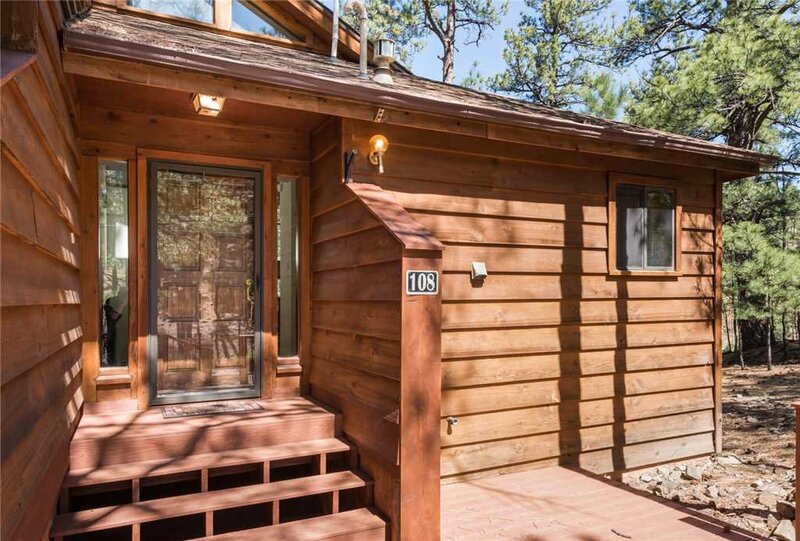 Double Shot Cabin is a townhome that is connected to P.J's Hideaway.